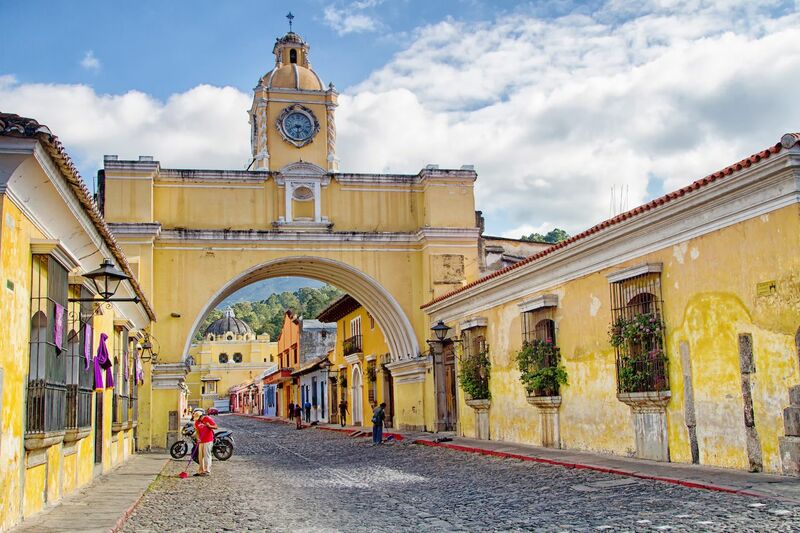 The old town of Antigua in Guatemala, a UNESCO World Heritage site, is prone to natural disasters. It’s been the scene of earthquakes, floods, avalanches, and volcanic eruptions for centuries. Its unsafe location even lead to its demotion from the capital of the country in the 18th century — it was replaced by Guatemala City, the current capital. Volcán de Fuego, an extremely active volcano, sits less than 10 miles east of Antigua. On June 3, 2018, its eruption killed 194 people and left hundreds missing. On November 19, 2018, the volcano erupted again and forced 4,000 residents to evacuate. The June 2018 eruption was extremely destructive in rural areas as villagers who lived at the base of the volcano were caught by surprise. Guatemalan Ana Castillo, of The Heart of Travel tour group, reflects on that fateful day. “It was the most severe volcanic eruption we have ever lived through. We’re used to Fuego Volcano going off without causing any damage,” says Castillo. “Poverty played a key factor in why the eruption was so devastating as people were living in dire conditions on the skirts of an active volcano. Tourists are never exposed to this kind of danger,” says Castillo. Travelers should be aware that Guatemala is among the top four highest risk countries for natural disasters according to The World Risk Index. It’s best to be prepared in case there’s an emergency while you’re visiting Guatemala. While the possibility of a volcanic explosion is always possible, it doesn’t mean that travelers should avoid visiting Guatemala as a safety precaution. On a daily basis, Fuego has around 25 small-scale gas and ash eruptions, but larger eruptions are rare. “I want people to know that regardless of this catastrophe, it’s safe to come to Guatemala,” says Castillo. A volcanic explosion is so unlikely that most locals seem unphased by the lava that can be seen spewing from Fuego at night. Marambio recommends that travelers should have some basic understanding of volcanoes before visiting Guatemala — especially if they plan to climb active volcanoes, such as Pacaya. It’s required to hike Pacaya with a local guide as they’ve been properly trained to know the terrain of the landscape, the volcanic activity, and are prepared for emergency evacuation. “Volcanoes are very beautiful and powerful phenomenon of nature. Approach them with respect and precautions,” says Marambio. Responsible tourism is of the utmost importance as Guatemala begins to rebuild. “The most impactful action that travelers can take when visiting after a natural disaster is by contributing to the local economy. Making conscious decisions to support local businesses can help sustain affected communities directly. Travelers can also reach out to nonprofits working in the area to find out if there are urgent supplies that can be donated,” says Nika Hedrick of Impact Travel Alliance. Travelers can directly help victims by putting their tourism dollars directly into local hands by staying in homestays, hiring local tour guides, and eating at family-owned establishments. 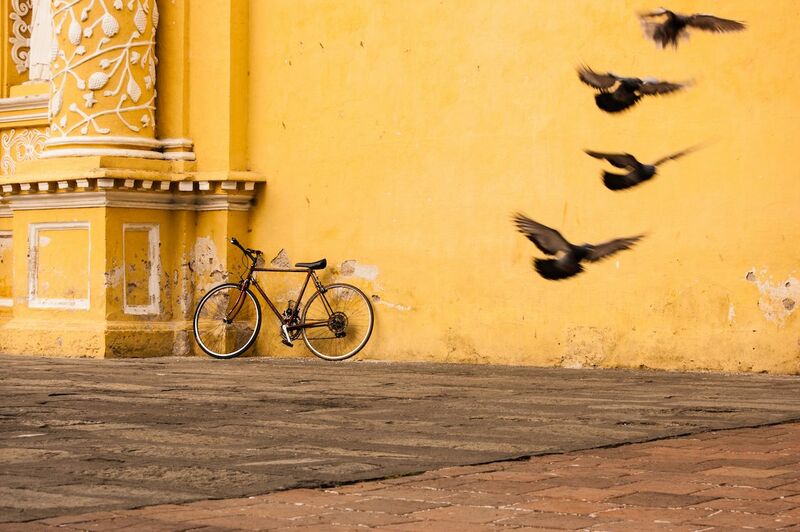 Travel blogger Steph Dyson of Worldly Adventure visited Guatemala in October to partake in responsible travel experiences. “Tourism that involves local indigenous communities helps to boost the local economy,” she says. Dyson suggests having authentic cultural experiences with social enterprises such as the weaving cooperative of Santo Domingo Xenacoj where tourists learn how to weave ancient Mayan textiles and a homestay experience with the Rupalaj Kistalin cooperative. “Both allow for close interaction with indigenous Guatemalan people and the knowledge that your money is going directly into local communities where it’s most needed,” says Dyson. As you explore Guatemala, the impact of the eruption on the landscape is vastly apparent. When heading down to El Paredon, a town on the Pacific coast about 65 miles from Antigua, to take part in the community-based tourism activities such as surfing and spotting sea turtles, or off to hike Volcán de Pacaya, you’ll drive by the base of Fuego. The area is desolate. Seeing the disaster zone naturally encourages many travelers to get involved in supporting the local community. However, voluntourism should be avoided in Guatemala unless you have experience in providing international aid. “It isn’t in the best interest of local populations when unskilled and unqualified volunteers go to developing nations to volunteer for short periods of time, especially if they then post photos all over the internet that perpetuate stereotypes,” says Castillo’s business partner, Chelsea Glass. She recommends that skilled volunteers join a project with Volunca. The reputable volunteer program places skilled aid workers in disaster zones and has needs for help in shelters and victim recovery in Guatemala. To make a direct contribution, consider donating to local groups that are working on long-term restoration. Antigua al Rescate is a grassroots organization that has been involved in relief work since the eruption and they still need support for aid efforts. If you’d rather donate something other than money, Jonfe suggests that travelers support local communities by buying medication from local pharmacies as clinics are in need in the disaster areas. “Simple things like tampons, sanitary napkins, antibiotics, and plastic tubs for laundry are usually in short supply. People are still living in shelters here, and there is less and less help. The emergency has finished, but the rebuilding process has not kicked in,” he says. Guate4You organizes visits to La Trinidad, a community on which Fuego wreaked havoc in June. The cultural exchange allows travelers to learn directly from locals about the reality of how the volcanic eruption has changed their lives.